French M51 Combat helmets are painted Blue for Police. 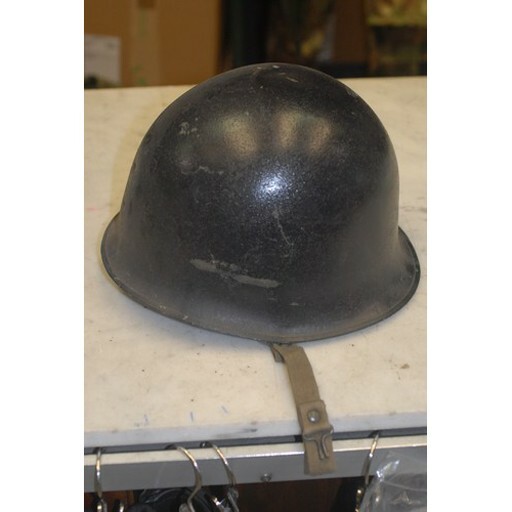 These are the same as the military steel pot helmets and include a removable plastic liner with suspension and leather chin strap. Steel pot has attached cloth chin strap. Used very good. Measures 11"L x 10"W x 6½"H. Weighs 3.10 lbs.